Drizzle butter over popcorn. 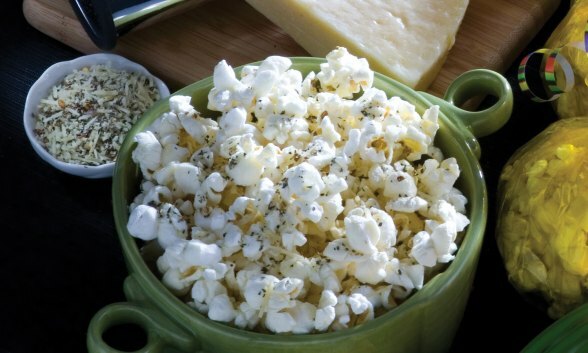 Combine cheese, basil, red pepper flakes, and garlic powder in a small bowl; sprinkle over popcorn. Stir or toss to evenly coat popcorn. *Using a Presto® popcorn popper, prepare popcorn as directed in the popper’s instruction manual. This recipe works best when popcorn has been popped with oil.